Originally published in Journal of Creation 16, no 1 (April 2002): 3-4. A farmer digging a snowmobile course accidentally unearthed one of the most remarkably-preserved plant fossil localities in the world.1 The site is situated outside the small town of Clarkia in northern Idaho, about 60 km northeast of Moscow, Idaho, USA. One hundred and thirty species of plants are represented, many typical of a warm-temperate to subtropical environment, such as avocado, magnolia, and sycamore. It is suggested that the fossils formed in a Miocene lake, dammed in the St Maries River Valley when the Columbia River basalts erupted to the west. The northern Rocky Mountains, USA, are postulated to have been a terrestrial environment during the Tertiary. The idea of leaves falling into fine-grained lake clays appears to be a reasonable paleoenvironmental deduction—at first glance. However, such an interpretation is contradicted by a number of facts. 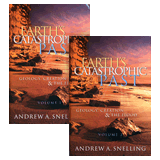 There is even evidence of marine catastrophic inundation. The remarkable preservation of the leaves extends even to microscopic structures within leaf cells that exhibit beautiful cellular detail. Just as interesting, the original colour of the leaves has been preserved within the laminated clays. The original green, brown, or red colours, suggestive of autumn, are retained, which upon exposure promptly turn black.2 The fossils are preserved within laminated clay, interspersed with massive clay, both containing ash beds that are barren of fossils. Some investigators believe the laminated clays are varves and that each couplet represents one year of seasonal deposition. However, Charles Smiley believes the laminated clays represent storm rhythmites3—a radical departure from the varve interpretation. Smiley’s deduction seems more reasonable since there are also fish fossils within the rhythmites—one a trophy-sized extinct trout. All the fish had their mouths open, as if they died of anoxia. One would not expect such well preserved fish with little or no sign of deterioration4 while paper thin ‘varves’ were being deposited. The unusual condition of the leaves and the fish fossils points to rapid deposition, not slow lacustrine accumulation. There are signs that the water was not fresh, as typical of most lakes, but marine or brackish. For instance, abundant dinoflagellates, mysteriously all of one species, have been identified.7 Dinoflagellates are normally considered marine. Hence, it is suggested that fresh water dinoflagellates existed in the past. However, this freshwater interpretation comes from other fossil localities that are assumed terrestrial, just like the Clarkia beds. Sponge spicules are also an abundant constituent of the rhythmites.7,8 Practically all sponges are marine. Apparently, there are rare occurrences of freshwater sponges,8 and this latter is the type chosen for the paleoenvironment of the Clarkia beds. It is interesting that the sponges also suggest that the bottom water temperature was unusually warm at 26–30°C,9 a paleoclimatic enigma. Furthermore, the high temperatures suggested are not conducive to the anoxic paleoenvironment needed to explain the excellent preservation. Then there is an enigmatic diatom whose living analog is a marine-brackish water taxon. However, even this diatom is said to include one ecological variety that is only able to live in low salinity conditions.10,11 Of course, this latter variant is the one assumed to have lived in ancient Lake Clarkia. Altogether, there is an impressive amount of evidence that components from marine and terrestrial environments have been mixed together. All the warm climate elements suggest an environment unique to northern Idaho. A superficial look at the Clarkia beds seems to support a typical uniformitarian terrestrial lacustrine environment and uniformitarian scientists commonly make such paleoenvironmental interpretations. However, the more one examines the details, the more enigmatic their interpretation becomes.15 In the case of the Clarkia beds, the uniqueness of the fossils, the warm environmental indicators, the exquisite preservation, and the indications of rapid deposition contradict the simplistic uniformitarian deduction of a lacustrine environment. 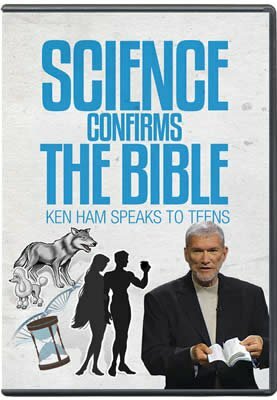 The evidence supports an interpretation based on the global Flood recorded in the Bible. The Flood is expected to occasionally mix organisms from terrestrial and marine or brackish water environments. In addition, it is not a problem for the Flood to deposit warmth-indicating taxa in middle and high latitudes. And rapid deposition during the Flood is expected to produce well-preserved fossils. Clutter, T., The Clarkia Fossil Bowl, American Forests 91(2):22–25, 1985. Smiley, C.J. and Rember, W.C., Physical setting of the Miocene Clarkia fossil beds, northern Idaho; in: Smiley, C.J. (Ed. ), Late Cenozoic History of the Pacific Northwest—Interdisciplinary Studies on the Clarkia Fossil Beds of Northern Idaho, Pacific Division of the American Association for the Advancement of Science, San Francisco, pp. 11–31, 1985. Batten, D.J., Gray, J. and Harland, R., Palaeoenvironmental significance of a monospecific assemblage of dinoflagellate cysts from the Miocene Clarkia Beds, Idaho, USA, Palaeogeography, Palaeoclimatology, Palaeoecology 153:162, 1999. Smiley and Rember, Ref. 2, p. 17. Smith, G.R. and Elder, R.L., Environmental interpretation of burial and preservation of Clarkia fishes; in: Smiley, Ref. 2, pp. 90–91. Giannasi, D.E. and Niklas, K.J., The paleobiochemistry of fossil angiosperm floras, Part I, Chemosystematic aspects; in: Smiley, Ref. 2, p. 164. Batten et al., Ref. 3, pp. 161–177. Williams, J.L., Spicular remains of freshwater sponges from a Miocene lacustrine deposit in northern Idaho; in: Smiley, Ref. 2, pp. 349–355. Williams, Ref. 8, p. 350. Batten et al., Ref. 3, p. 172. Bradbury, J.P., Dieterich, K.V. and Williams, J.L., Diatom flora of the Miocene lake beds near Clarkia in northern Idaho; in: Smiley, Ref. 2, pp. 38–39. Batten et al., Ref. 3, p. 171. Batten et al., Ref. 3, pp. 161–162. Batten et al., Ref. 3, p. 169. Oard, M.J., Beware of paleoenvironmental deductions, CEN Tech. J. 13(2):13, 1999.